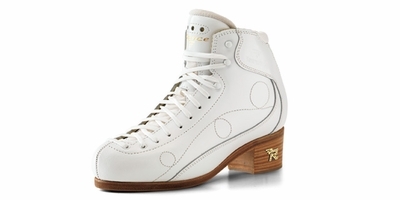 RF2 is a classical boot designed for those who practice professional and competitive figure skating. * Upper waterproofed, preformed real leather. * Padding anatomical thermomoldable padding. * Cuff padded rear cuff. * Sole a double layer of real leather. * Stiffness rating index 85 (RF2 Super with Kevlar� Dupont reinforcements), 55 (RF2).